News from LMCU: The Spring Real Estate Buying Season Is Upon Us! The Spring Real Estate Buying Season Is Upon Us! Mortgage rates are still way low, but so is the supply of available homes. And it’s making for a very competitive seller’s market. 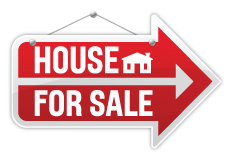 Homes are selling very quickly, often within days (or even hours) of being listed. If buying a new home is on your wish list anytime soon, be sure to get pre-approved for a LMCU Low Rate Mortgage before making an offer. Pre-approval sends a strong signal to sellers that you’re a serious buyer, and it could be the difference between a successful bid and disappointment. Contact a LMCU mortgage professional today!